What Is Considered Perjury in Florida? While making an oath to tell the truth during court proceedings can seem absurd to many people, there are severe consequences to breaking that oath. Penalties range from one year in prison to 15 years and from $1,000 in fines to $10,000. If you face perjury charges, take action to protect yourself. Perjury is a complicated crime that can be boiled down to one question: Did you lie under oath? The specific legal definition under Florida law involves making a false statement under oath that you did not believe to be true. Perjury during an unofficial proceeding: This is considered a first-degree misdemeanor, which carries up to one year in jail and $1,000 in fines. Perjury during an official proceeding: If you are accused of perjury during an official proceeding, such as a court hearing, you can face up to five years in prison and $5,000 in fines. Perjury during an official proceeding involving a capital felony: This charge is a second-degree felony and can carry up to 15 years in prison and $10,000 in fines. As you can see, this is a serious charge with serious consequences. We are prepared to help you fight against these charges and any related criminal charges you face. How Can We Help You Defend Against a Perjury Conviction? You did not know you were making a false statement. You admitted that you told a false statement during the proceeding and the statement either had not been discovered or did not substantially affect that proceeding. The false statement you made did not relate to the material issues of the proceeding. You made the statement under duress. At The Umansky Law Firm, in Orlando, our perjury defense attorneys offer free case reviews where we will look over your documents, listen to your story and explain the defenses you have to fight against your charges. 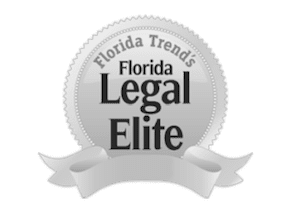 Then, we will put your case into our strategy planning tool and offer you our free guide on the Florida court system. We do all of this free of charge because we believe in what we do – helping people protect their rights and their freedoms from damaging charges. If you face perjury charges, contact our attorneys now. We are available anytime, day or night, to take your call. Call 407-228-3838 or contact us online to schedule a free case review.